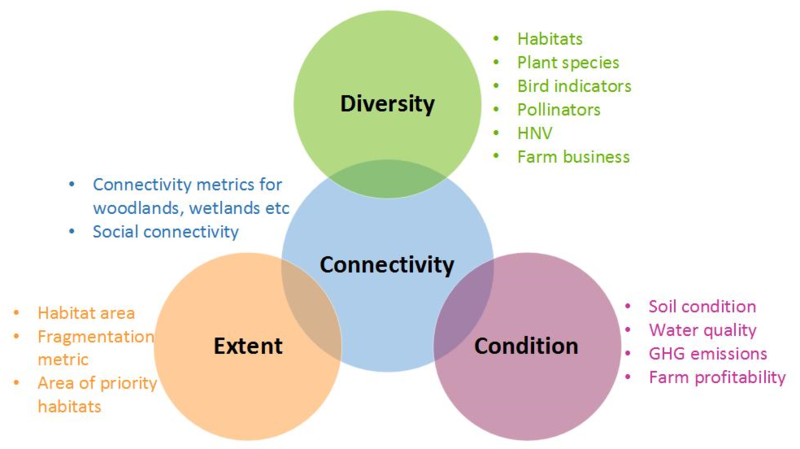 GMEP provided data which cover all four ecosystem characteristics (extent, condition, diversity and connectivity) which are considered to help ecosystems become more resilient to pressures such as climate change. Increasing resilience of our ecosystems is a major ambition of the Environment (Wales) Act and Well-being of Future Generations (Wales) Act. We have explored how to combine GMEP with other data to help track improvements in resilience from a local to national scale. 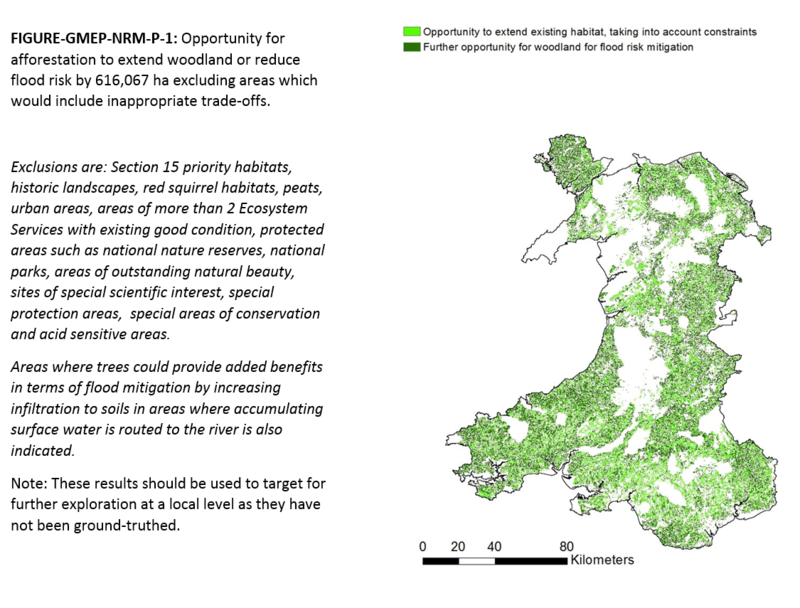 Wales has been used as a case study to help draft a step-by-step manual to help governments create National Species Accounts following the internationally accepted System of Environmental-Economic Accounting (SEEA). Members of the GMEP team were responsible for drafting this case study which used GMEP data extensively. This work is led by the United Nations Environment Programme - World Conservation Monitoring Centre (UNEP-WCMC), and the project is part of the Advancing Natural Capital Accounting project coordinated by the United Nations Environment Programme - The Economics of Ecosystems and Biodiversity (UNEP-TEEB) Office, UN Statistical Division and The Convention on Biological Diversity. 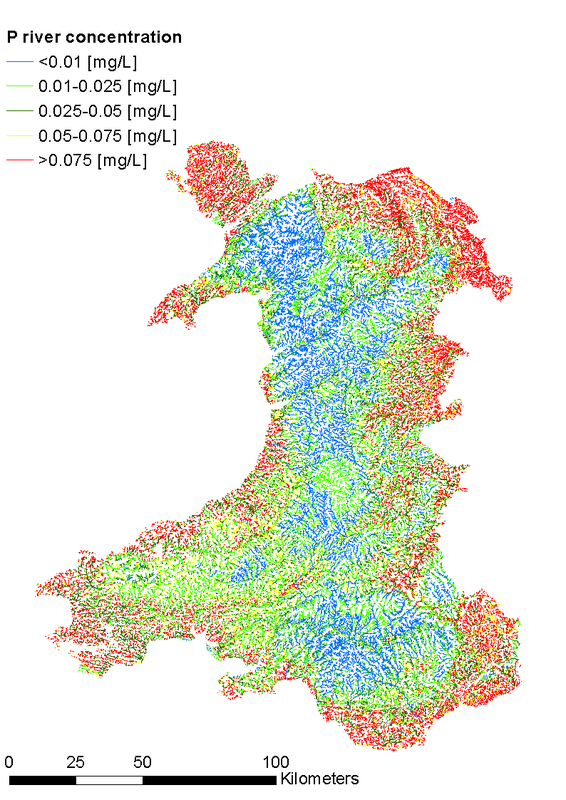 GMEP soils data is also being used to explore approaches for developing National Soil Accounts. 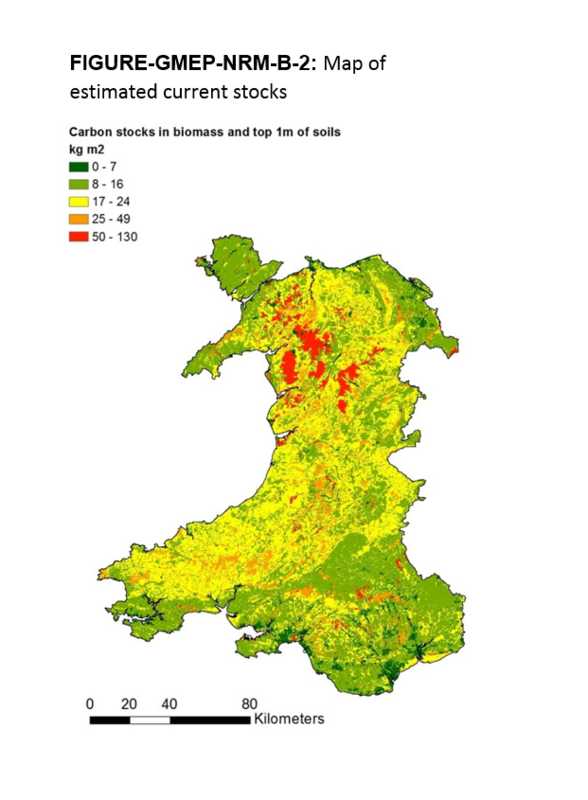 To increase the level of investment in measures for climate change adaptation with the aim of building greater resilience to ongoing climate change into both farm and forest businesses and the wider Welsh economy. To use agri-environment investment in way that encourages positive environmental outcomes but also contributes towards farm and forest business profitability and the wider sustainability of the rural economy. 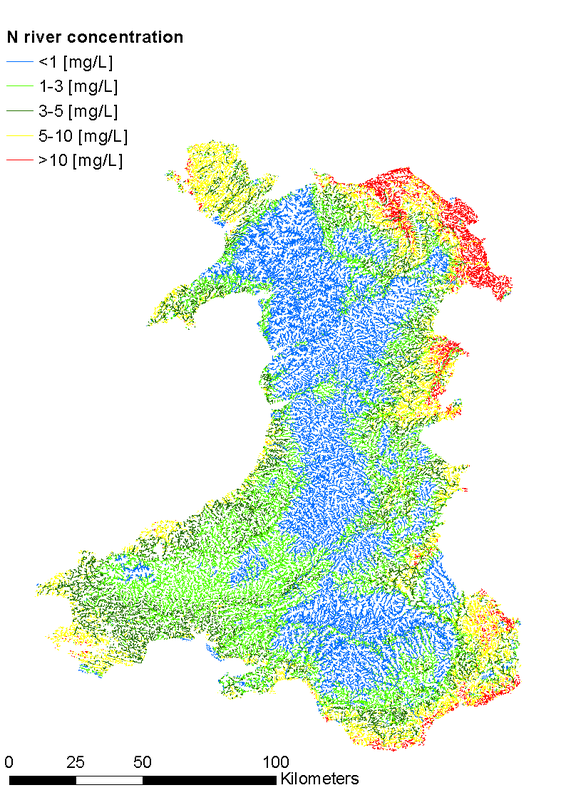 GMEP was tasked with providing a baseline for assessing the future impacts of Glastir. Future field surveys will provide the main evidence for actual change in the six original intended Outcomes. The impacts of Glastir reported here relate to evidence for changes in farmer behaviour and management practices as a result of Glastir payments derived from the GMEP Farmer Practice Survey of 600 farms. 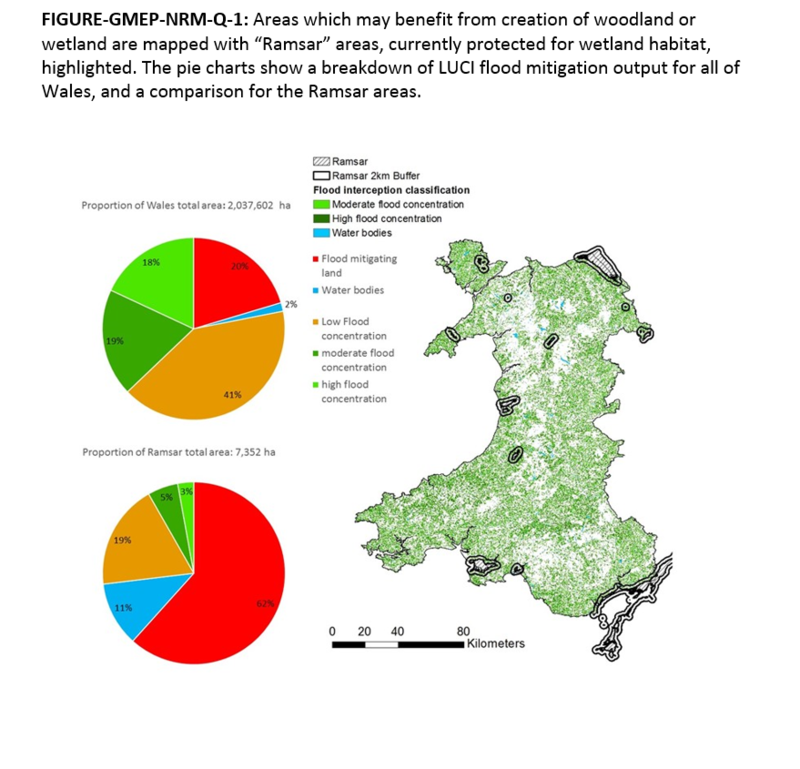 These data provide information concerning the three additional Outcomes requested by the Auditor General for Wales in 2014 related to actions by farmers to combat climate change, and to improve the diversification, efficiency, and profitability of farms involved in the Glastir scheme. To provide an early insight into likely future impacts on the six original Outcomes intended for Glastir, we exploited a set of models and accounting tools to project the likely impacts of management interventions for soil, water, biodiversity, climate change and woodlands. The following set of results appears to demonstrate a positive and diverse set of actions undertaken by farmers involved in the Glastir scheme relating to climate change, diversification, efficiency and profitability. 17% increase in number of farms in scheme compared to non-scheme farms reporting they were undertaking actions concerning climate change including actions concerning flood, drought, soil erosion, biodiversity, pests and disease and heat stress (from 37% to 54%). 15% increase in investment by farms in scheme in on-farm renewable energy production (from 21% to 36%) although it is suspected that this is an attribute of the participants rather than an effect of scheme. Current capacity is sufficient to off-set an estimated 1% of net greenhouse gas emissions from agriculture. 9.5% and 18% decrease in the average carbon footprints expressed per kg of lamb live weight and milk on surveyed farms in receipt of Glastir Efficiency Grants, indicating improved production efficiency. 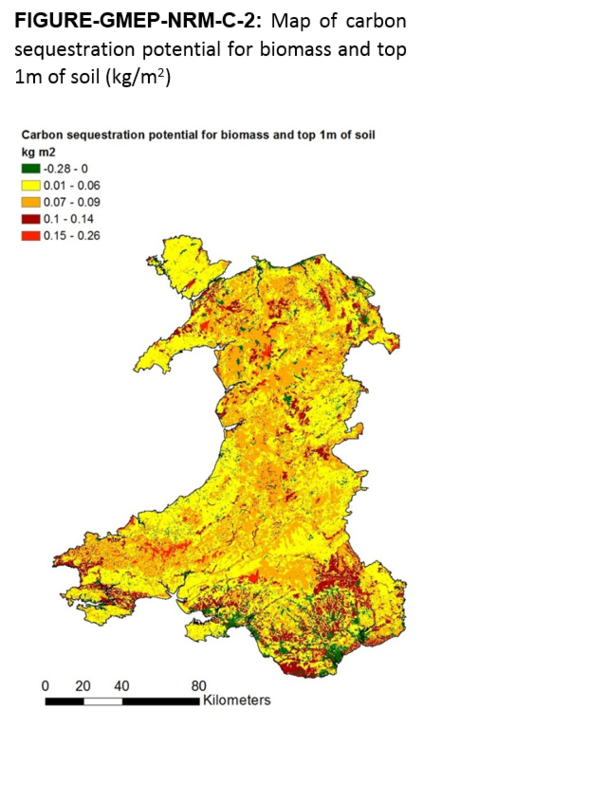 These results include embedded emissions resulting from the production and transport footprints of materials bought and used by the farm (such as animal feeds, fertilisers and plastic sheeting in the Bangor Carbon Footprinting Tool). These embedded emissions are not included in current national inventories but are important to consider if emissions are not to be exported, thus complying with the WFG goal of a Globally Responsible Wales. 77% of respondents stated farm viability had increased as a consequence of receiving the Glastir Efficiency Grant, with 21% reporting no change. More than 90% of respondents agreed that the Glastir Efficiency Grants had encouraged them to undertake new capital investments whilst 83% agreed that access to the grant increased their scale of planned investment. Benefits for diffuse pollution and greenhouse gas emissions at the national-scale may not be as great as intended. The GMEP results suggest a variety of reasons for this including: a) payments for maintaining interventions from past schemes reducing the additionality effect of Glastir; b) complexity of the scheme and barriers to adopting (e.g. 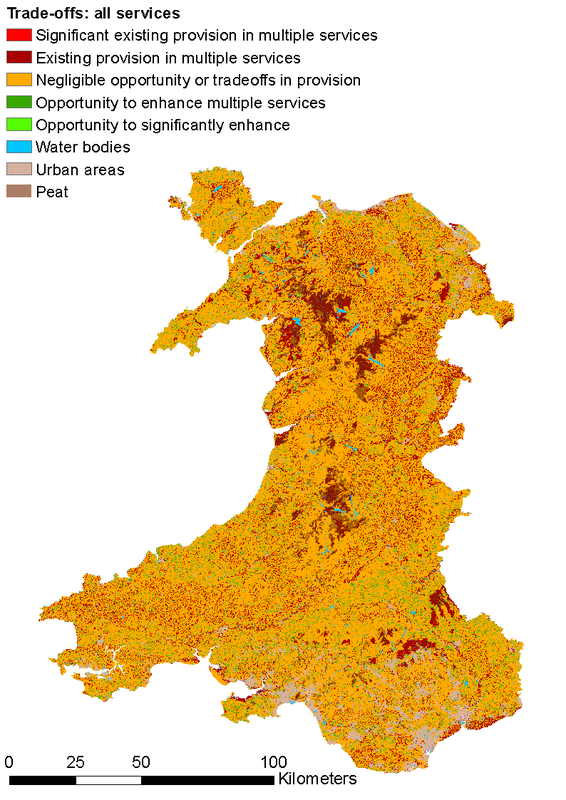 woodland grants); and c) a relatively distributed action not always targeted in areas of greatest need (diffuse pollution interventions not aligned to high fertiliser leaching areas). Individual farm level improvements for diffuse pollution and carbon footprints can be significantly higher. 34% of participants in the Glastir Entry and Advanced schemes agreed that participation in an agri-environment scheme had 'changed my management of the farm' compared to 61% of participants in the Tir Cynnal or Tir Gofal schemes. The response by the Glastir participants was unaffected by any history of participation in the previous schemes. It should be noted this may reflect the intention of providing legacy and continuity between schemes. There was no reliable evidence of a change in the overall number of persons employed on farm, although farm diversification was most frequently associated with an increase. 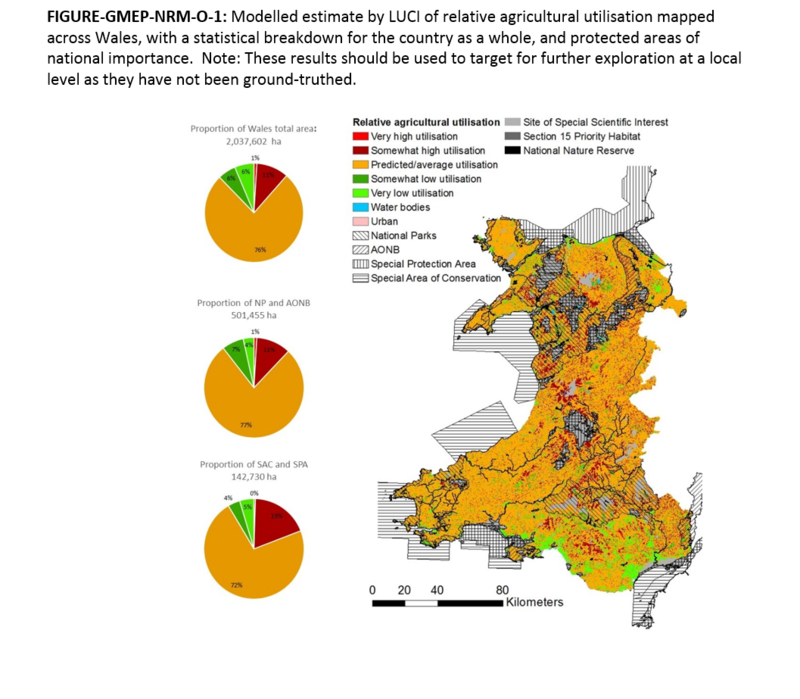 GMEP has used the Land Utilization and Capability Indicator model (LUCI) (http://www.lucitools.org/) to map the current supply of ecosystem services at a national level, and identify where there are opportunities for improvements to the supply of these services. LUCI produces national scale maps showing where a particular service (e.g. carbon storage or broadleaved woodland) may be improved, without adversely impacting the other services. Working in partnership with local communities/farmers, the LUCI model can then be used to target management at a local level down to 5 metres scale (e.g. where to target riparian tree planting). This multi-scale capability of the LUCI model is one of the main reasons it was selected to be part of the GMEP modelling framework. An assessment if land is being over or under utilised according to a combination of landcover, soil and slope conditions. 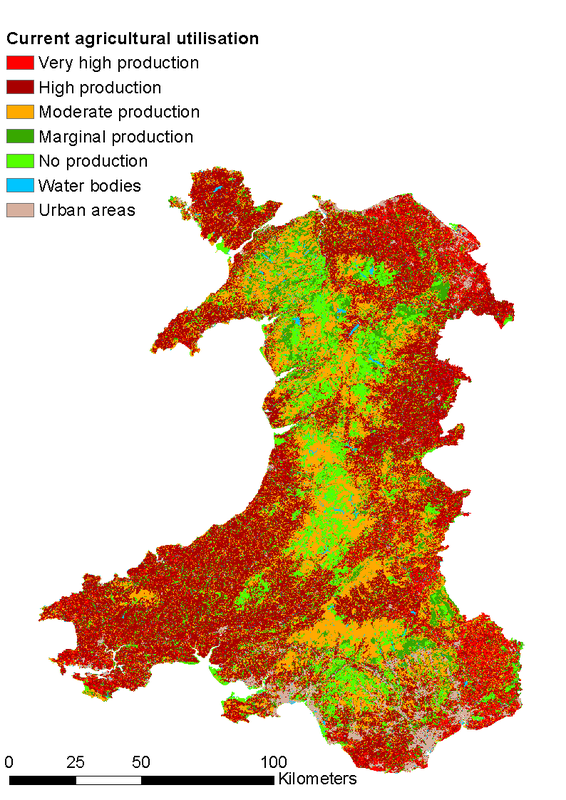 LUCI indicates that in 77% of Wales improving one service may degrade another (a trade-off - indicated in yellow). This emphasises the importance of considering all services before recommending change i.e. will another important service we affected? We have added these as additional data layers to alert land managers that other services should be considered beyond those currently covered by the LUCI model. 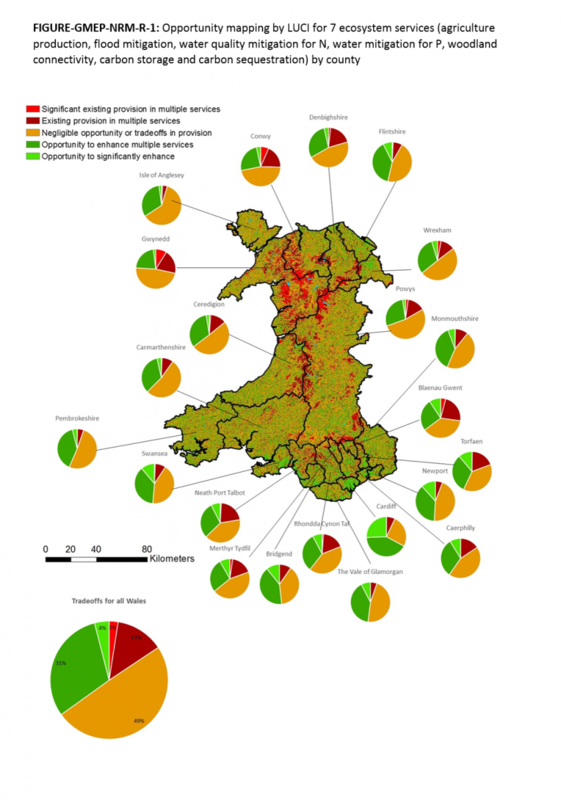 Map showing the large area of Wales (77%) where extending one service will impact on another. The map emphasises the need to prioritise services locally as trade-offs are inevitable.